The common freezer room is a vital piece of equipment in any large commercial kitchen or perhaps even for industrial purposes. Whether they be for freezing chips at the local fast food store or scientific works at the university anatomy lab, they play an important part in your business. That’s why it pays to have the right gear on the job, and the right tradesman servicing your plant and equipment. You might be surprised that often a little problem that is left for too long, can become a major problem later on. 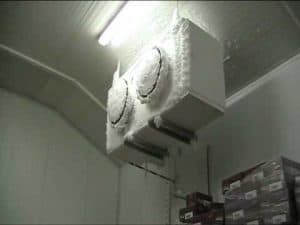 So here are a few tips on what you might see on your commercial freezer room. Depending on what other types of freezer you have, be it an upright display freezer, freezer case, ice cream scoop cabinet etc, the symptoms and breakdown issues are usually similar. What problems are common to Freezer rooms? So how do I stop the freezer room from icing up when I need to load it? If possible, switch the room off when loading. Our installations will all have a switch at the door. If you don’t have one call us and we can fit one. If there is no switch, you could raise the temperature setpoint to something like -5deg (as a last resort), but don’t forget to set it back to -18, otherwise your ice creams will be runny! This method is not ideal. So, it would be best to call us to install a switch for you! Get us to install a door alarm that goes off after a small delay period, just in case the door is left open too long. How do I know if the defrost heaters are working? During a defrost you will notice the fans stop and after a short while you may hear some sizzling from within the coil along with some radiant heat from the rear. Be careful. Those heaters are as hot as an oven element! How do I know if the defrost schedules are wrong on my freezer room? If you experience a defrost and some of the ice is still present, either the duration of defrost or the temperature termination could be set incorrectly. Another problem is that the defrost can run for too long. For example, if you have ice cream that is crystalized on the top when the lid is removed, it is possibly getting too soft during the defrosts and then is trying to refreeze. 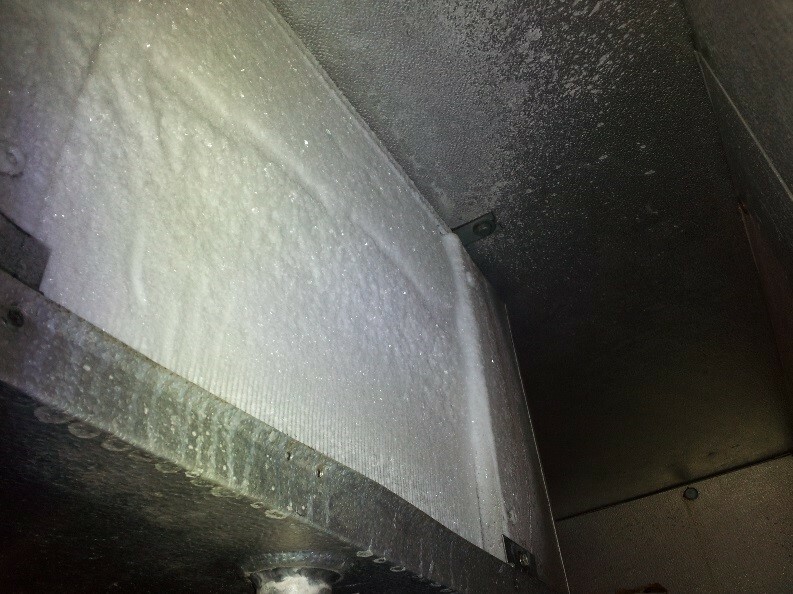 Poorly set defrost schedules can reduce the quality of your product and can actually increase your running costs. Call us now and have us check your freezer defrost schedules. How do I know if the refrigerant charge is good for my freezer? If you have an evaporator that never used to ice up much but has now started to ice up more then usual, perhaps the gas charge is not quite right. 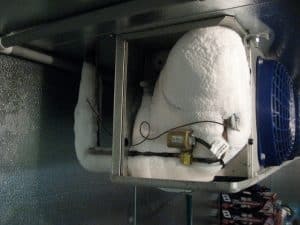 In simple terms, when a system is undercharged portions of the evaporator actually can be colder through the lower gas pressure and this starts the process of icing up. Longer running cycles make for a situation where the ice spreads across the coil and eventually you could have a frozen mess that takes hours just to defrost before any diagnosis can occur. Some people look at sight glasses on the outdoor unit and tell us it is clear or flashing, but this is not a device to confirm the gas charge. It only should be considered as a moisture indicator. We find only less experienced tradesmen use sight glasses to tell if a system is undercharged, so if you have one of these guys, call us ASAP before they ruin your system and charge you too much! When should I replace the evaporator fans? The most obvious answer to this is if it has stopped! Just make sure they system isn’t in a defrost though, as they cycle off during defrost! But a less obvious indicator is when the cage has started to rust too much. We are seeing health inspectors demand replacements, and it makes sense as you don’t want rust chips landing in your food after all! Bearing noise is another indication that the motor should be changed out. Unfortunately, a bearing change is not cost effective these days, so the motor is generally replaced in these commercial Freezer and cool room situations. The risk in not replacing the motor is that the fan will fail, creating a massive ice up that takes 2 hours to defrost. So, we always recommend you replace any worn evaporator or condenser fan motors. I have icicles running down from the evaporator unit in my freezer. What does this mean? I would place a safe bet on the fact that your drain has blocked up and the overflowing water is creating the icicles. The drain heater could have also failed, which is designed to stop the ice from clogging up the drain. Should I replace my freezer door seals? A good test is to stand inside your cool room or freezer and turn the light off. If you can see large amounts of daylight coming in, then moisture laden air will also be pouring in. not only will it add to the energy costs of the freezer room, but it will also help cause icing up of the evaporator coil. If it is torn or tatty and can harbour grime and bugs, the health inspector will pick you up for it. Call us to have it replaced. 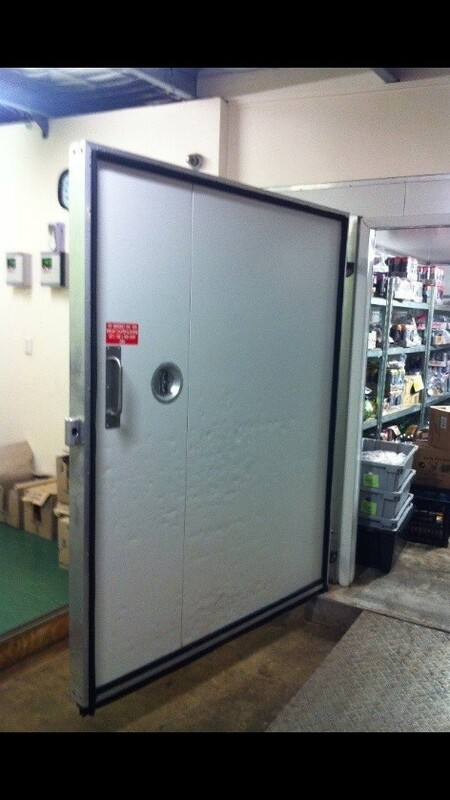 Don’t forget that if you have a busy commercial freezer room or cool room and the door is open a lot, you may need to consider plastic strip curtains to help keep the hot air outside, and the cold air in.